It’s definitely Chef Alyssa’s kitchen, but it takes a whole family to run it. Chef Alyssa has been cooking her entire life. Her passion for making good food was equally matched by a desire to lead a balanced, active lifestyle. She has worked at some of Charlotte’s favorite restaurants and became an executive chef at just 26. She met Andrew Wilen, an energetic event planner and marketer, in the fall of 2011, and the two began dating. A year later, the pair decided to do what many couples do at this point. Just kidding. They started a business together. 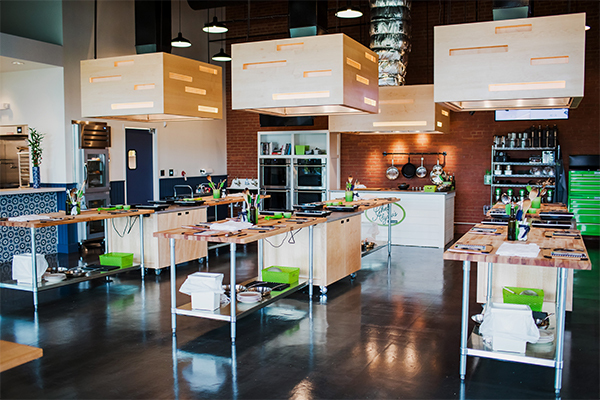 Chef Alyssa’s Kitchen opened its doors in 2013 with the goal of providing a comfortable, social environment where guests can learn to cook and eat well. A lot has happened since then. Andrew and Alyssa did get married. Chef Alyssa’s Kitchen won a bunch of awards. The company grew so much that the couple built a custom-designed, state-of-the-art kitchen in Bowers, conveniently located in Charlotte’s historic Lower South End neighborhood. Here, Chef Alyssa can not only offer more classes, she and her team can cook great meals for you to enjoy at work and at home. As the company has grown, so has the culinary team that supports it. 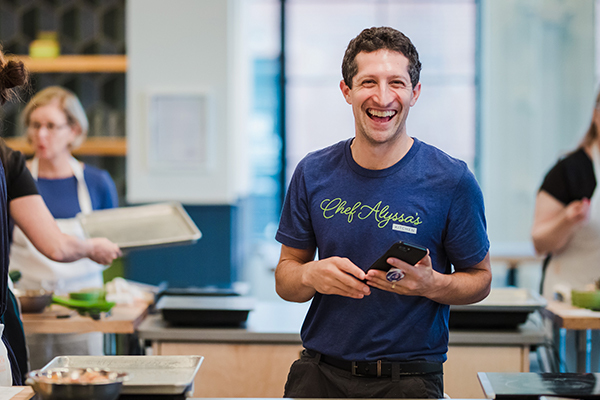 Every member of the Chef Alyssa’s team brings his or her own special talents to the table, but they all live to share the art and joy of cooking with others…whether in our kitchen or yours. Click here to meet the team. We’d love to hear from you. 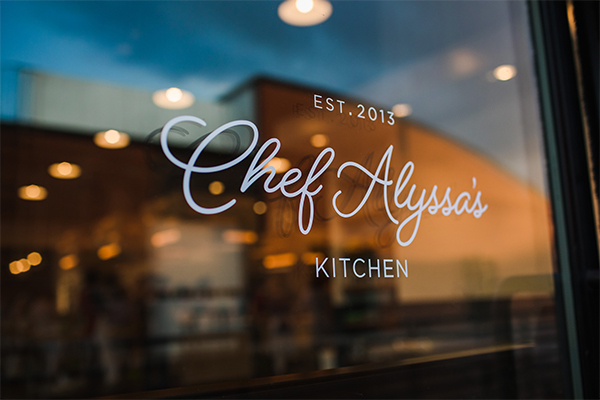 Contact us directly at alyssa@chefalyssaskitchen.com or andrew@chefalyssaskitchen.com. We’re located in the beautiful Bowers building located in Charlotte’s South End area. We are a 10 min walk from the ScaleyBark Light Rail stop. In the same neighborhood as Brewers at Yancey, Olde Mecklenburg Brewery, Sugar Creek Brewery, Queen Park Social, Good Road Ciderworks and Broke Spoke Distillery. We use professional butcher-block tables (same ones used in culinary schools! ), Electrolux induction cookware and small appliances, big green eggs, professional knives and lodge cast iron cookware.